My paintings are a colorful celebration of ordinary, everyday life, and my inspiration comes from our daily surroundings, whether it is nature, architecture, still lifes or portraiture. A native of Cleveland, Ohio, I have spent most of my life in the area, and attended the Cleveland Institute of Art from 1985 through 1990. I have shown in many exhibitions and competitive shows including solo exhibits at The Howson Gallery at Judson, Kendal at Oberlin, Solon Center for the Arts in Solon, Ohio, Dobama Theater in Cleveland Hts., Ohio, Malvina Freedson Gallery in Lakewood, Ohio, and the Gallery at Vase to Vase in Lakewood, Ohio. 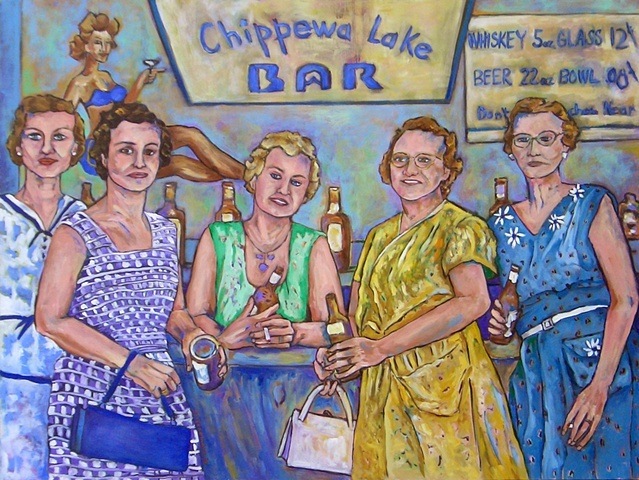 I was accepted in The Butler Institute of American Art National Midyear Painting Exhibition, Ashland University National Juried Exhibition, Ohio State University-Mansfield All Ohio Juried Exhibition and in Cleveland Metroparks Centennial, Mandel Jewish Community Center, Ohio State University, Cuyahoga Community College, and Cleveland Clinic juried exhibitions. One of my paintings is part of Sherwin Williams' mural in the West Bank of the Flats in Cleveland, Ohio. Two of my paintings were on exhibit at the State of Ohio Governor's Office. My work was published in Cleveland Galleries guide of Cleveland Magazine; 52 Weeks 52 Works calendar of Academy Graphics Communications, Inc.; and MUSE Magazine. My work was also seen at Case Western Reserve University, Ursuline College, City Artists at Work exhibitions, Artists Archives of the Western Reserve exhibitions, and as Artist of the Week on Channel 8 TV News.